The team at Indigo Catering Equipment work with top chefs and restaurateurs to create premium kitchens at home so you can to craft new dishes, host tasting events and even complete photoshoots and promotional film work. Chefs and homeowners will benefit from the same high quality and professional standards of commercial kitchens at home, with tailored designs for your property and culinary interests. 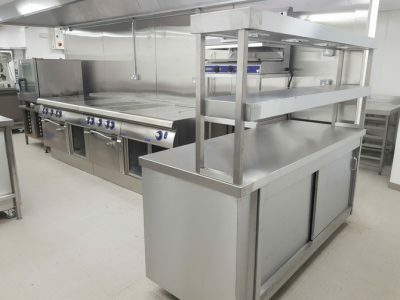 With Indigo Catering Equipment, commercial kitchens at home are all bespoke and can be designed to fit any space and shape, suitable for larger homes as well as smaller city apartments. Call 01323 843447 to discuss your kitchen set-up, whether you require a complete refit and installation, or specific improvements to your existing design. We recognise that professional chefs are eager to access the best catering equipment and facilities not just at work, but also at home. It provides the ideal environment to perfect new menus and dishes privately before testing with restaurant staff and launching publically. Our team manage every aspect of the plan, design, installation and ongoing maintenance for premium kitchens at home. 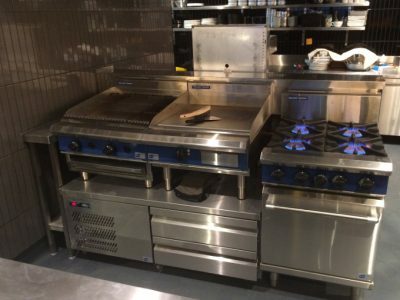 We source the best catering equipment for your needs and ensure total satisfaction on the final result. In addition to creating the ideal space for chefs to use culinary skills at home, commercial kitchens in private properties also allow for dining staff at home to prepare high quality menus and meals for homeowners and guests. Should you have house staff and host dinner parties, a state of the art kitchen at home is a fantastic investment and one which will take your food experiences to the next level. To start the design process with our expert team, get in touch by calling or emailing us on sales@indigoce.co.uk. After an initial consultation, we create in-depth CAD designs to showcase the possibilities for your home kitchen and for you to visualise the final results. We look forward to hearing from you and work throughout London and the South East.